A paper transfer expires two hours from the start time of the route. Present your transfer to the driver each time you board a bus. MiWay will not reissue a transfer on any transfer. With a PRESTO card, the transfer expires two hours after you first tap on the bus. The transfer is issued onto the PRESTO card. 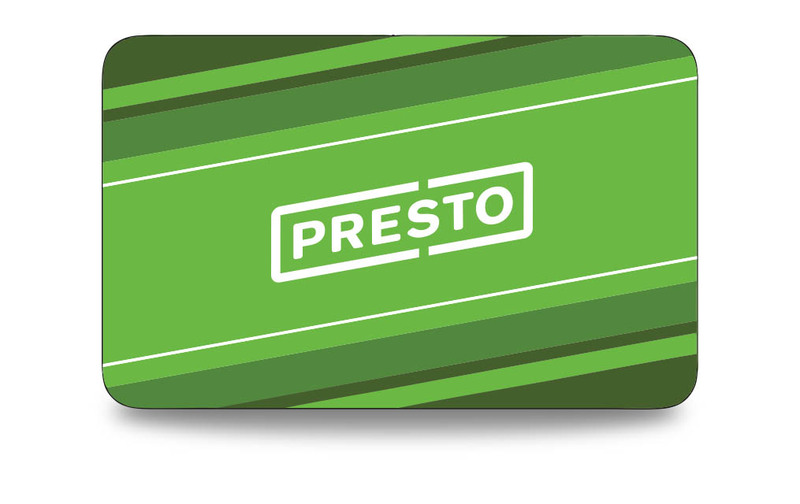 Transit agencies other than MiWay's PRESTO Monthly and Weekly Passes are not accepted on MiWay; however a two-hour transfer is applied to your card when you first tap on the bus. Tap your card each time you board a bus to confirm the transfer is automatically issued to your PRESTO card. For example, if your card is loaded with a MiWay PRESTO Monthly Pass and you start your trip on MiWay, a two-hour transfer will be applied to your card and you can transfer for free to Brampton Transit. On your return trip, if the two-hour transfer has expired, you will need to have ePurse loaded on your card to travel on Brampton Transit. Brampton Transit and MiWay will not accept each other's passes. Brampton Transit and MiWay will accept each other's transfers at any location, but only when there is time remaining on the transfer. MiWay does not accept TTC tickets, tokens, passes or transfers. Passengers may not exit a MiWay bus within the City of Toronto's boundaries while it is travelling to Mississauga. Once a MiWay bus has begun its return trip to Mississauga from Toronto, passengers may board that bus at any TTC bus stop serviced by us - they just have to wave at the bus to signal to the driver that they are waiting to board. Customers can get on and off MiWay Route 3-Bloor and Route 26-Burnhamthorpe buses - both eastbound and westbound - outside the Mississauga border (in Toronto) to and from Islington Subway Station after 1:15 am. Oakville Transit and MiWay will accept each other's transfers at any location, but only when there is time remaining on the transfer. Oakville Transit and MiWay will not issue transfers on each other’s transfers. MiWay does not accept passes from Burlington Transit, Hamilton Street Railway or York Region Transit. Burlington Transit, Hamilton Street Railway, York Region Transit and MiWay will accept each other's transfers at any location, but only when there is time remaining on the transfer.